THAT’S WHY I CREATED THIS FREE GUIDE. I noticed that same question- “what pen is this?”- coming up over and over and ooooooover again every time I posted my work online. And listen… as much as it drives me nuts answering the same question that many times, I totally get it. There are sooooo many options out there, and as a beginner, it can be completely overwhelming to try and figure out where to start. So let’s make sense of it all. 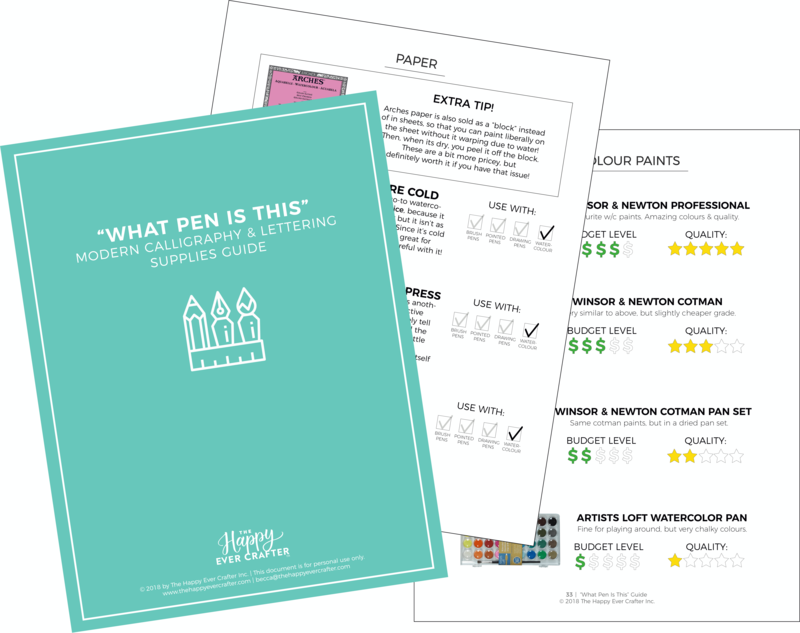 I’ve spilled all of my favourite supplies into this guide for you. JUST SIGN UP HERE, AND YOU’LL GET IT INSTANTLY.